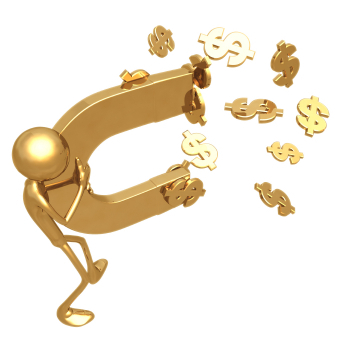 How to attract customers to your website, marketing tips. A few weeks ago, one of our blog readers asked how he could attract people to his website, so I’ve had a think and done a bit of research. As Lee realised, simply having a website is not a sure fire way to attract customers because the World Wide Web has a complete surfeit of internet sites that no-one has ever heard of. So here are some ideas, some obvious, some not so. I hope they help. Offer something for free. It may be as simple as offering free P & P if the customer spends over £20 or £50 but it’s just a little something that can entice your customer. You can offer free downloads, or a section with tips about products, or maybe some helpsheets for people that are relevant to your retail area. Or you could have a really useful blog *cough* just like this one! 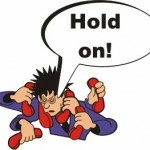 Keep a tight hold of your customers! 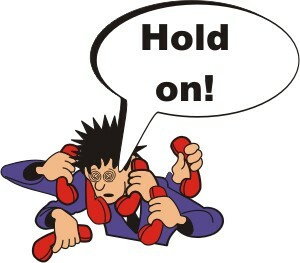 Hold on to your customer. Many website rankings are now partially decided by how long customers spend looking at the site, so you need to ensure that your website is friendly, welcoming and easy to use but above all, has information that will keep the customer on the site. Ensure your website is simple and clean looking. Too much clutter and you will put people off. Use attractive colours (there is all sorts of research available about use of colour on the internet, so just for fun why not look it up). Avoid pop ups or anything that will really annoy your customers because they will just click the close tag. Link your website with other reciprocal websites. Make contacts and see if you can use a website sharing ring with a group of other like-minded entrepreneurs. If you sell furniture, you could link with someone selling home accessories; if you sell computers, you could link with someone selling printer ink etc. Advertising on other websites. For a fee you can have a banner on other websites. If you have a website in mind, there will usually be a link at the bottom of the home page, or on the contact page that you can use to contact the website owner. This can be expensive however. Facebook and Google offer Adword campaigns and they are simple to set up. You can set your own budget and time frame so they needn’t break the bank. Search Engine Optimization (SEO). If you feel confident enough you can do your own SEO. Ensure you have a title for each page that is rich in relevant keywords. Keywords are the words that people type into a search engine in order to find you. As far as possible try not to use filler words such as ‘the’, ‘for’, ‘of’, ‘it’ and ‘and’; but at the same time keep the title readable. Find out how to write a good META tag description. This is the description that appears below your link on the search results page. You want people to be drawn to this so use keywords and phrases that appear on your page. For example the META tag for this page might be or something similar. If you struggle with this you can find a freelance website developer who will advise you, but you needn’t approach the big companies, simply look on a freelance website. Include keywords in headings and subheadings. Throughout any articles or content that you produce for your website, make sure you pepper the writing with the keywords that people are looking for. 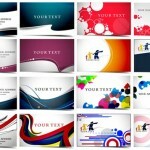 You can also format your content so that relevant words are emboldened if you wish to draw the eye further in. You should do this particularly in the first paragraph of what you write. Cross marketing. 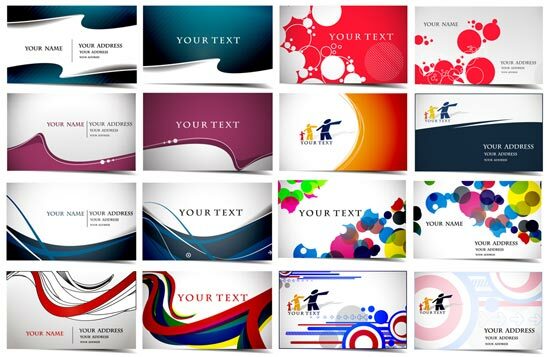 With every sale you make send out business cards, postcards, brochures, leaflets etc. with the goods. Perhaps offer a voucher for 10% off any subsequent purchases. Ensure that you have your website URL on everything, along with ways to contact you. Have an email signature that names the business, lists contact details and explains what the business does. List your website in online directories. There are a number of free directories you can use in the UK. Some are better than others and may help you expand your customer base. Issue Press Releases. Find a reason why the local press should cover what you do. Sponsor a sports team and announce you are doing it. Do something daft, such as a sponsored washing machine push up a hill for charity, and tip off the press that you are doing it. Or alternatively, write an article about something that is happening in your industry and cite yourself as an ‘expert’. This will generate free publicity. For example, if you sell washing machines and a new washing powder is produced that is great for the environment, then you could write about that. If you sell pet supplies and some toys made in China are found to be toxic, then you can write that up and send it to the newspaper. If you can’t write or you are too busy, hire someone to write the releases for you. There are freelance writing websites around for you to tap into. Have a great blog. People browsing your website will enjoy reading your blog especially if your personality shines through, it’s informative and useful and free of spelling errors. Keep it up to date and try and post once a week. In a similar vein you can also write articles for Ezine or Google pages if you are keen on the written word! You can also use Facebook, Twitter and LinkedIn to connect with people. Produce a newsletter. 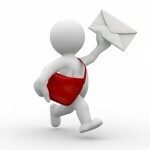 Gather email sign ups on your website and send out a newsletter once a month. Incorporate tips, new products, things of interest, trivia and miscellanea. Have a web designer put an ‘email sign up’ button on every webpage. Run contests. You can cross-advertise via Facebook, Twitter and your website and even the local press. Offer a decent prize and set up a competition on your website. People love entering competitions. Finally, the best way to engage and connect with your customers if you are on a small budget is simply to put the effort in. The customers are unlikely to come straight to you. You need to go out there and lead them by the hand. If your website is accessible and engaging, if you re offering free services, if you have some sort of guarantee for your products and services and you are projecting your personality through your website design and blog etc., then you will stand more of a chance of enhancing your customer base. Good luck! If you have any other tips for Lee and everyone else in a similar situation, why not leave a comment here and I’ll write up the best ones. Thanks! « Setting Up A Business – Part 1.